IBPS is one of the top exams to get into banking jobs in India. This article covers Top 5 IBPS Bank Exam Books which you can use to crack IBPS exams. Read carefully on how to use these books and order them directly from Flipkart with the links attached at end of each of the IBPS Bank Exam books. Some important IBPS Bank Exam Books preparation by which you can easily clear the written in these exams. R.S.Agarwal Quantitative Aptitude is one of the top IBPS Bank PO Books which you can use for aptitude. Aptitude plays a major role in IBPS bank exams. So this is a must buy for your success. Another book which is latest in quantitative aptitude for IBPS is given below. Logical Reasoning is very important and it needs lot of practice. Below is one of the good book which is recommended. If you are looking to crack IBPS, you should be knowing the pattern of the exams and the previous papers definitely helps. These solved papers which are upto date will definitely give you an upper hand and flexibility. Below is one another TOP IBPS Bank exam solved papers which is very useful. This is mainly used for IBPS Bank Clerical and IBPS Bank PO Jobs. Disha Publications 5th Edition has the latest solved papers. You should have this book as a must to get updated information on latest solved papers. There is a need for speed if you want to crack IBPS. Speed exam test series is a must-have IBPS Bank exam book. Hope you loved reading these top 5 IBPS Bank Exam books. Do share your reviews and useful IBPS Bank exam books which you would suggest for our readers. 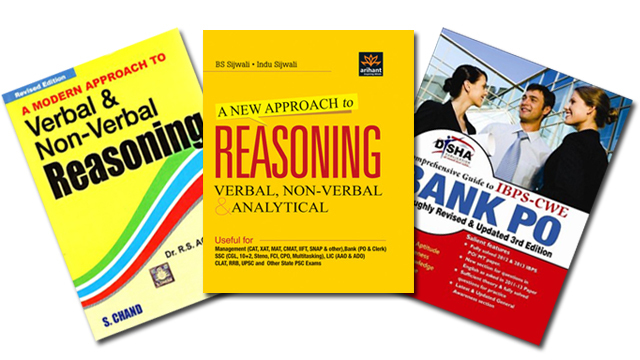 There are many other useful IBPS Bank Exam material and EBook information on our website. Do read more about IBPS bank exam on our website. Some useful links like Top IBPS RRB Exam Books had huge popularity from readers.